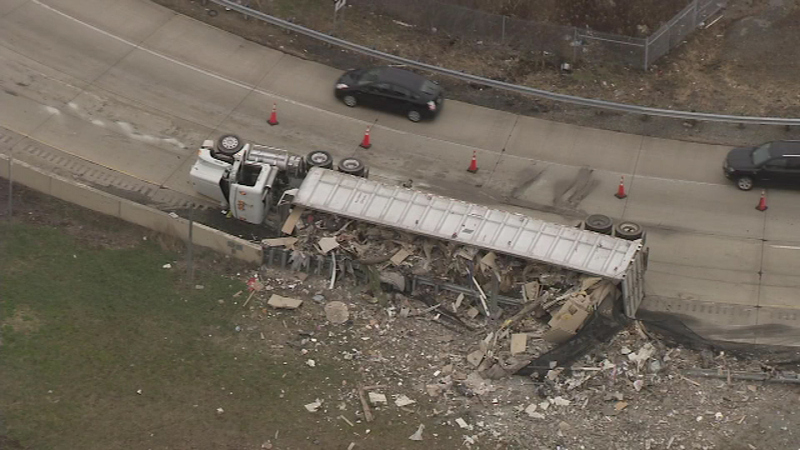 A tractor trailer hauling trash overturned Monday morning, spilling its load off the side of the westbound ramp from I-76 to Route 202 south in King of Prussia. 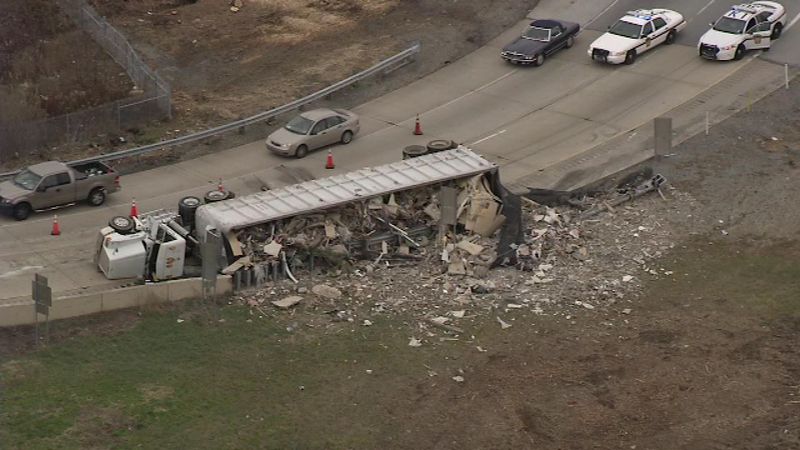 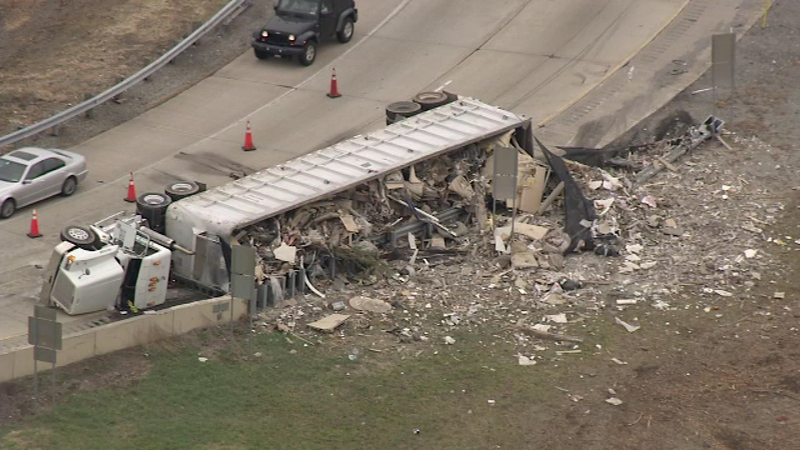 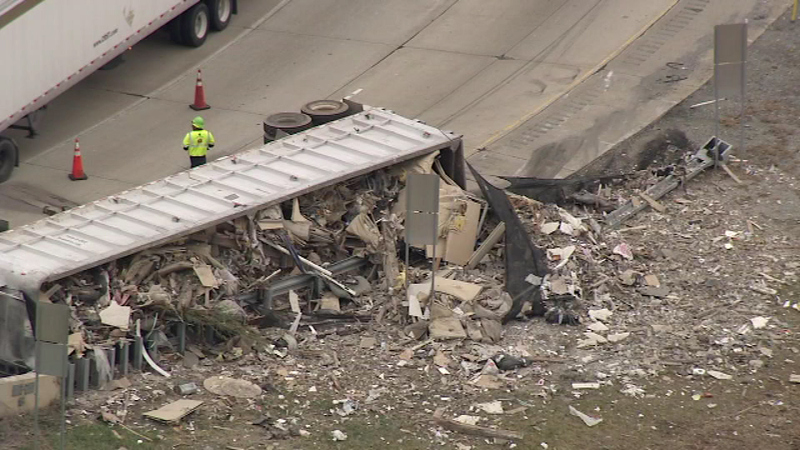 KING OF PRUSSIA, Pa. (WPVI) -- A truck overturned on a highway ramp in King of Prussia on Monday morning. 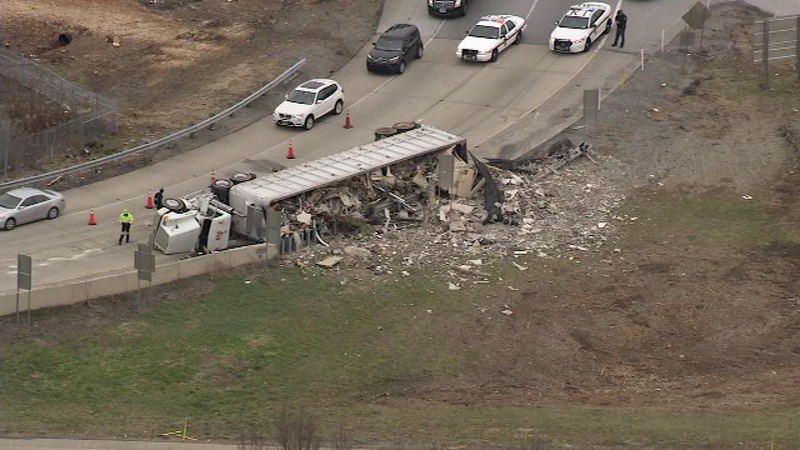 It happened on the ramp from I-76 westbound to Route 202 southbound shortly before 10 a.m.
Police say the driver of the truck lost control, causing the big rig to flip onto its side. 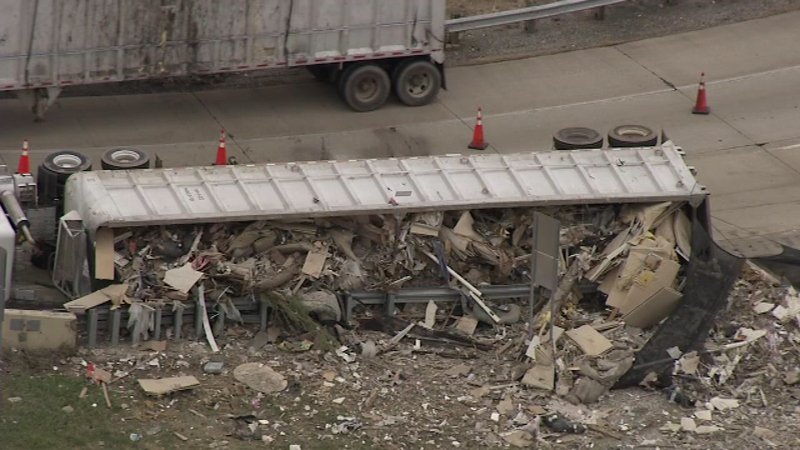 The truck was hauling what appeared to be construction debris. 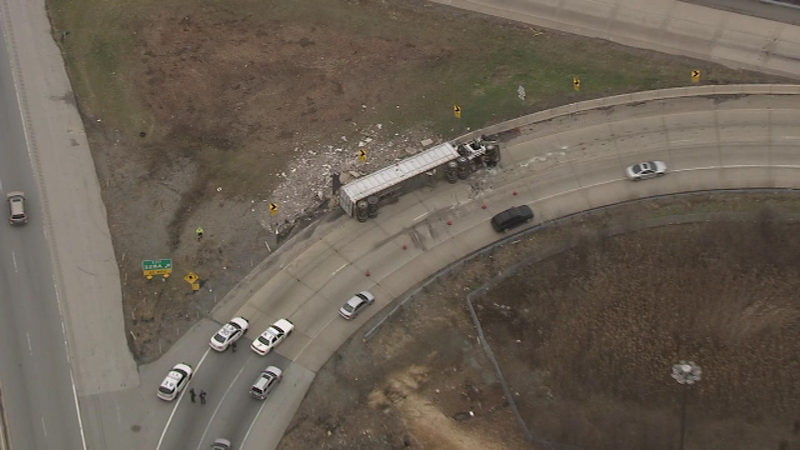 The view from Chopper 6 showed the debris spilled in a grassy area off the roadway. 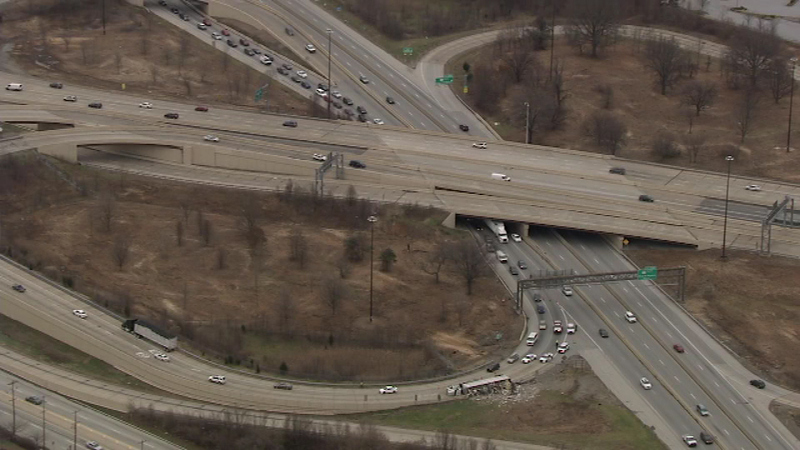 One lane of traffic was getting by the scene.